Yes, you read that right: it’s a man purse review. 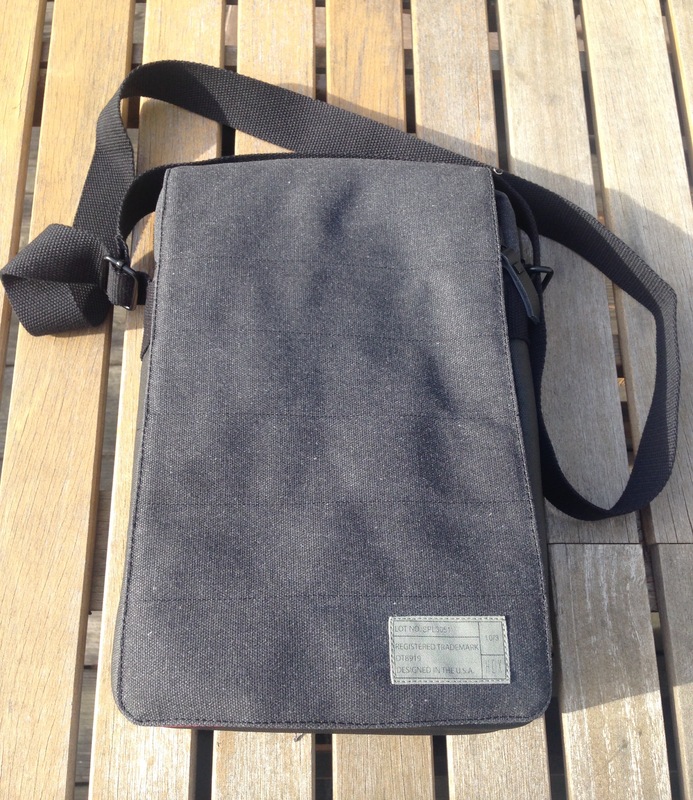 Read on for evaluation and images of Hex’s Cross Body Bag. The Cross Body Bag is light. It doesn’t fit all that much, but the man bag is suited well for focused work–a trip to the coffee shop with a book, a tablet or laptop, a notebook, phone, and headphones. There are lots of places to stash stuff, one of the great strengths of the bag. I really appreciate how many little compartments there are. The padding is sufficient for protecting whatever device you put in the bag. I use it with an iPad Air 2, though it’s also suitable for a Microsoft Surface or MacBook (Air) laptop of 12″ or under. A Velcro strap helps keep the device secure. The bag features a magnetized flap, which provides both a secure closure but also quick access to what’s inside the front pocket. Beneath the flap is that zippered pocket, where the electronics go. The material is water-resistant waxed canvas. I haven’t been in the rain with the Hex Cross Body Bag, but I’m sure it would do fine with a little bit of water. 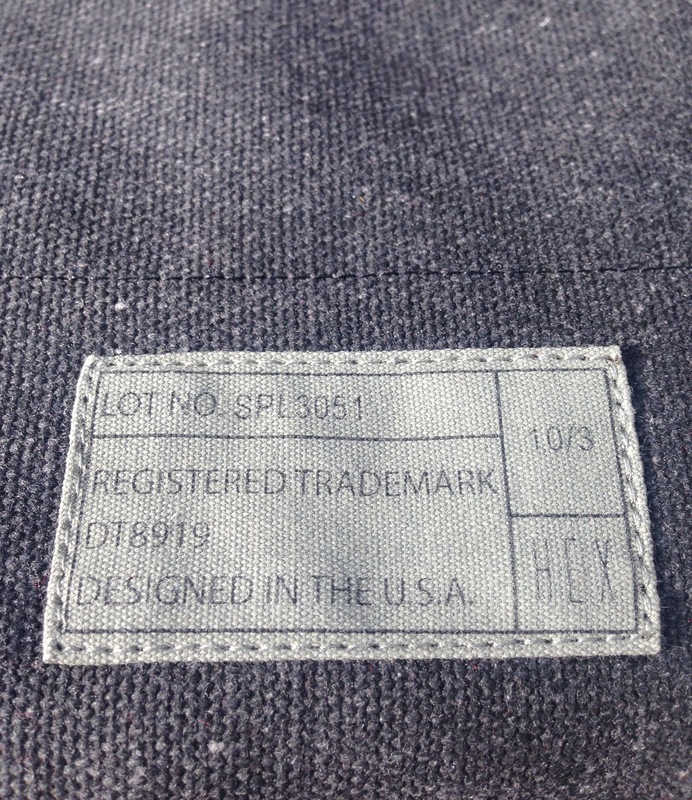 There’s another quick-access pocket (with a button closure) in the back. Those critiques notwithstanding (the third of which is probably the biggest lack), the Cross Body Bag is a rock-solid day bag. I’ve happily taken it to the cafe or office quite a few times for writing, reading, and other work. Many days it’s sufficient to carry all I need. The Supply Cross Body bag is the one shown in the images above. You can get it here, with another color available here. You can also find the bag at Amazon. Many thanks to the kind folks at Hex for the product sample for review, sent with no expectation as to the content of our evaluation.